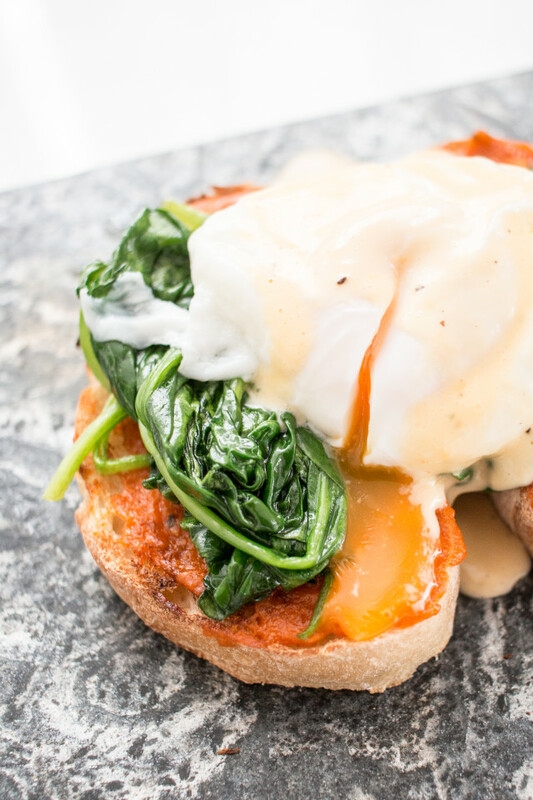 RECIPE: eggs florentine + video tutorial. OUTFIT: the maison off shoulder dress. This year will probably go down in history as “Vicky’s Year of Poached Eggs”. Slightly obsessed at the moment! All jokes aside though, I think I am addicted and barely a day goes by without a poached egg or two. I like to consider it a phase and enjoy it while it lasts. My favorite combo definitely involves the perfectly cooked eggs, super ripe avocado and a slice of bread. However, recently I decided to switch it up a bit and tried eggs florentine at home for the first time. It is one of my favorite indulgences when going out for brunch, and turns out it tastes just as amazing at home. 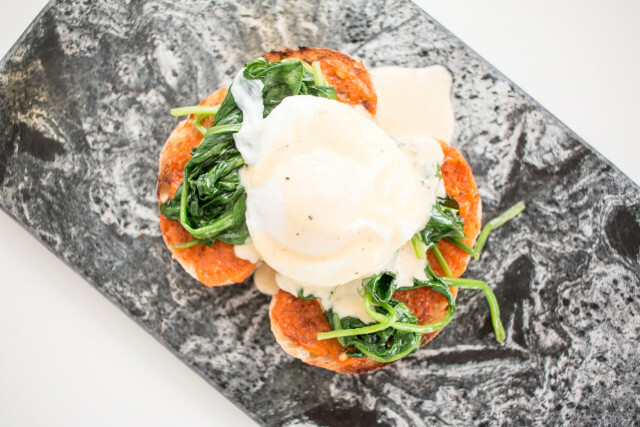 I jotted down my take on the eggs florentine recipe and even created a little video tutorial for the Douglas beautystories blog, so be sure to head on over there to find out how to make this savory breakfast treat! Vicky das sieht fantastisch aus!!! So so lecker!! Hab noch einen tollen Urlaub!! Yummy!! Wie im The Guesthouse Vienna, einfach toll. Muss ich am Wochenende nachmachen. Ich liebe pochierte Eier, aber ich muss zu meiner Schande gestehen, mir sind sie leider noch nie gelungen!